The article should have mentioned that there is no such option, yet, in the whole New York metropolitan area! That’s why we’re confident that, if we can get our ecovillage built, there will be considerable demand to purchase units and become part of such a unique community. Many single people relish their autonomy and don’t necessarily want to be part of a couple. But some would like another option, a way to have companionship without entering into a romantic relationship. That might mean roommate groupings more stable than the 20-something variety. Or it might mean a larger community that mixes shared and individual space. 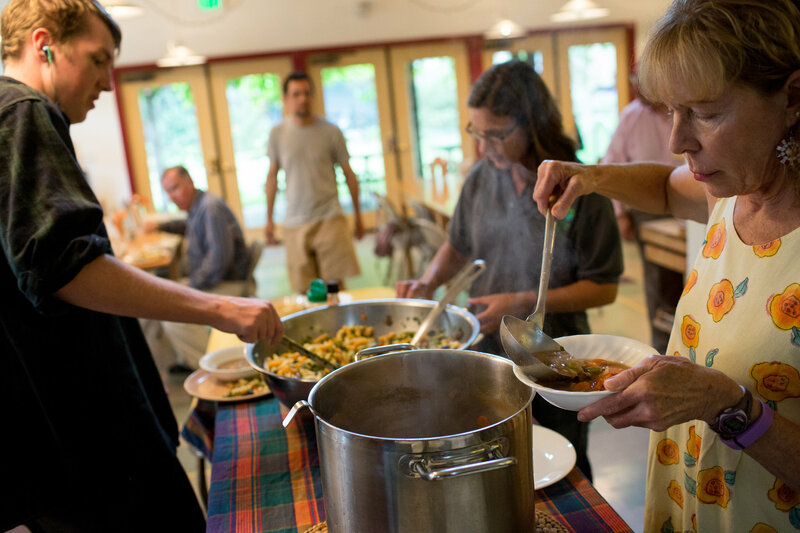 “Cohousing” communities around the country typically include private homes surrounding a common house where residents can gather for meals and other activities. Americans who want to live communally face obstacles like zoning laws — and housing designed for nuclear families. Removing some of the barriers would give our growing population of single people the opportunity, at least, to decide if living with other people works for them. It might also encourage Americans in general to think more creatively about our homes, our cities and our social networks. Many single people want homes that combine privacy with community and sociability. That combination sounds pretty attractive for anybody, single or not. This entry was posted in Cohousing, Ecovillage. Bookmark the permalink.